With summer upon us, most of us are scrambling to get our bodies in to shape and getting that summer glow. I know I am! I did some serious slacking in the skincare department recently. 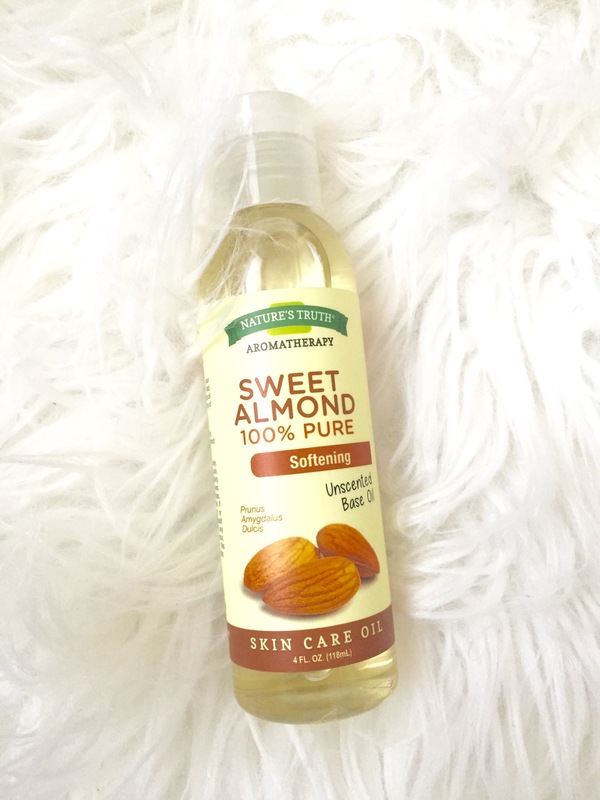 When I came across the benefits of almond oil once again, I was sold. Plus this bottle was only $5.99!!!! •apply a little oil to dry hair before shampooing and allow to sit as deep conditioning treatment to help hair grow ***bonus: mix with coconut oil .. Smells divine and helps shine! That’s right ladies…venture over to the health aisle of your favorite store and pick this up. Located next to essential oils usually. My complexion has never looked better! Trust me, I am sleep deprived busy momma bear who has had no time this last winter to focus truly on me. Now that I’m taking that extra time to pamper myself and get in shape, this product has done wonders in the matter of days folks!! My hair is soft, my face is glowing and my overall skin is radiant. No harsh chemicals… No extra money… Plain and simple greatness!!!! Right! Wish I would’ve used sooner!